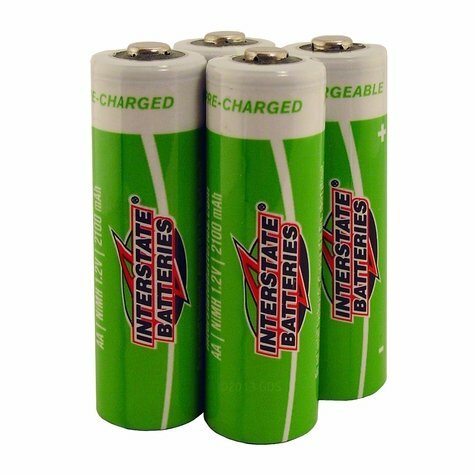 Interstate Battery Rechargeable NiMH AA Battery 4-Pack. $19.99. 4-pack of rechargeable NiMH Interstate AA batteries. Instructions and Safety Precautions: The batteries can be charged with any Ni-MH charger. Use only a charger designed for Ni-MH batteries. Incinerating, damaging or short circuiting the batteries may cause an explosion, the release of toxic chemicals or may cause burns. Excessive recharging is not recommended. Do not expose the batteries to chemical products. Observe the polarity +/-.